Smartphones help millions of people to while away the daily commute, whether with music, social media, news apps, or podcasts. But from this week, workers in London have another way of passing the time — with short stories grabbed from a vending machine. 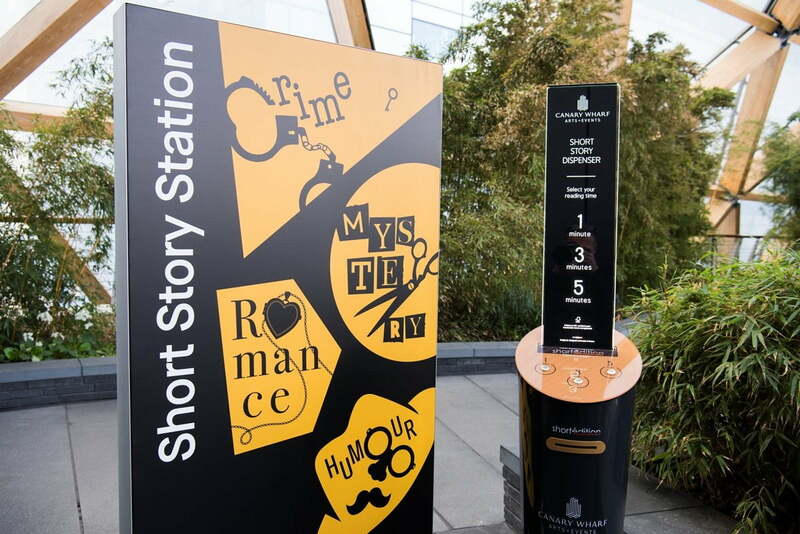 Three such machines have been installed in the city’s busy office district of Canary Wharf, each one offering thousands of different short stories that take around one, three, or five minutes to read. Written by famous authors past and present, the stories are printed out on slips of eco-friendly papyrus paper and are free to all, according to the Canary Wharf Group, which installed the machines. One of the contributors is author and screenwriter Anthony Horowitz, best known for his Alex Rider spy novels. His whodunnit, titled Mr. Robinson, was penned especially for the so-called “Short Story Station” vending machine and is the shortest piece of fictional work he’s ever written. The vending machines are the creation of French firm Short Édition and have been installed in several other countries, including France, the United States, and Hong Kong. The research found that 36 percent of Brits have given up on at least one book in the last 12 months because of a lack of time, while 30 percent admit it’s been more than six months since they last completed a book. Another somewhat offbeat vending machine that appeared for Londoners recently is one that lets you do your laundry.